This gives you $10 off any future purchase on S4G.com. 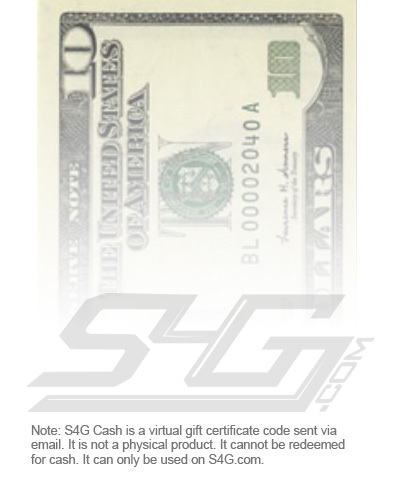 Your S4G cash will be emailed to you in the form of a gift certificate code. You can use it for yourself, or use the form below to gift it to someone else. Never expires or loses value. Can only be used on this website.